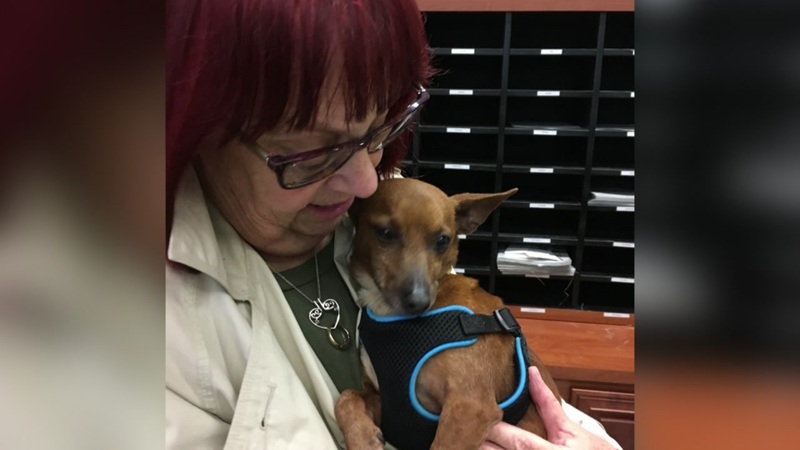 SAN JOSE, Calif. (KGO) -- A Santa Clara woman was reunited with the dog she's spent over two-and-a-half years looking for. The last time Margo Will saw her dog Auggie was September 2014 when she left her pet in the care of a neighbor. Somehow, Auggie escaped. Will assumed her dog was long gone, but this week students at Presentation High School in San Jose found the dog wandering the campus. A staff member took the dog to a local vet, where they found a microchip with Will's contact information. On Thursday, Auggie and Will were reunited at the school.